I always have such a dilemma on deciding what to plant in my urns, but I think I’ve finally discovered the perfect combination of plants this year. 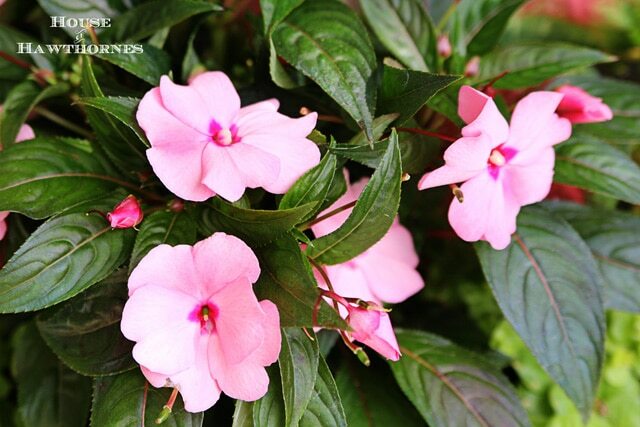 New Guinea impatiens in a soft hot pink to give it that much needed pop of color. 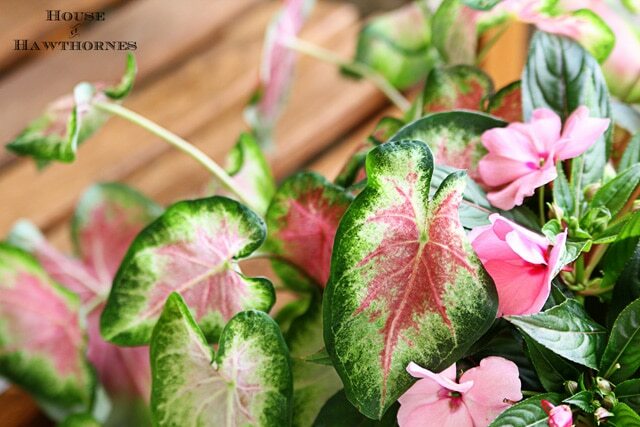 A caladium in a gorgeous shade of pink and green. 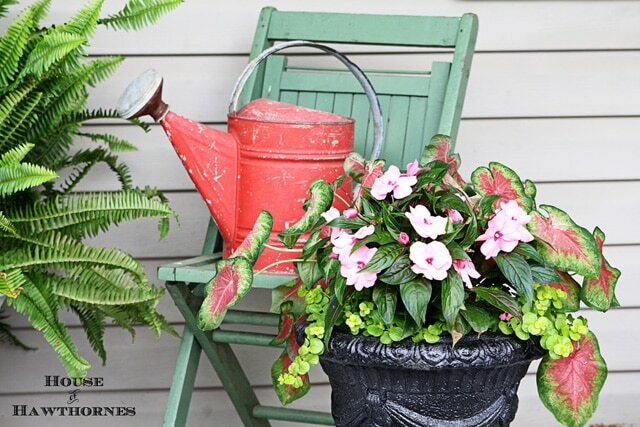 This not only gives a little height to the container (normally these stand up a little straighter, not sure what’s wrong with Mr. Droopy Pants), but also plays off the New Guinea impatiens. This one’s tag just said caladium (thanks so much for your detailed description), but from looking online, I think it may be the Rosebud variety. And to hang over the edge, a creeping Jenny (Lysimachia) in a chartreuse color. The last time I saw this much pink perfection it involved a Barbie doll, some tiny plastic shoes and a ball gown. Perfect a thriller, filler and a spiller! I have to look into the caladiums. Great job on your urn – love the combination! I am writing these down so I don’t forget! Love the color combination Pam! And the chair and watering can are perfection! Gotta have “a thriller, a filler, and a spiller!” Love it! Great combo, Pam. And, I love that green chair. I saw four of those (not green) the other day at an antique mall. I think they were $50 for the four. Beautiful! I never plant New Guinea Impatiens…maybe I should. You chose a wonderful combination. Very pretty!! 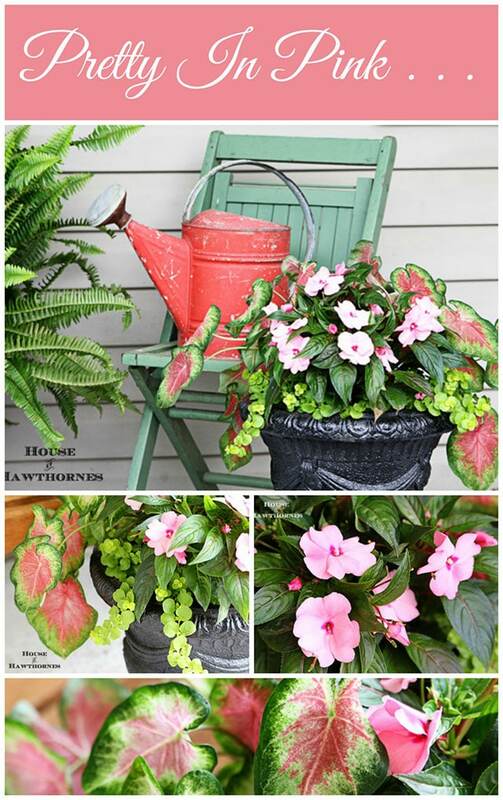 I never know what to plant in containers so you have just given me the perfect recipe for the empty container that needs to be on my front porch! So pretty! It makes me want to get out there and clean up our porch and plant something in an urn or two. But, I forgot. I kill plants, not grow them! Hubby is the gardener in the family and doggone it, he just doesn’t have time this year. But hey! I can live vicariously through your picture, huh? 🙂 Thanks for sharing! Beautiful combo and I adore pink and green together!! That is the perfect plant and color combination, Pam…and I’m sure the ball gown added a touch of bling! I love this planter and am posting it to my outdoor/gardening board. Its gorgeous! Lynn, around here they are just annuals, but I think you could probably lift them in the fall and over winter them in your garage where you are. They’re a tender bulb or whatever you call it, so I don’t think they can stay in the ground if it freezes at all. What a pretty combination. I need to show this idea to Chris. We are so behind in our plantings. That is the triumph in urn planting Pam. I through some invasive catmint in mine just to keep one more invasive plant out of the flower garden. Love impatients. Chuckled over the Barbie doll reference. Really pretty! 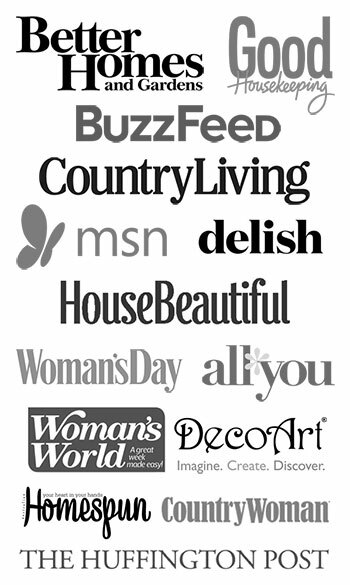 I tend to stick to red and white – which gets kind of boring. 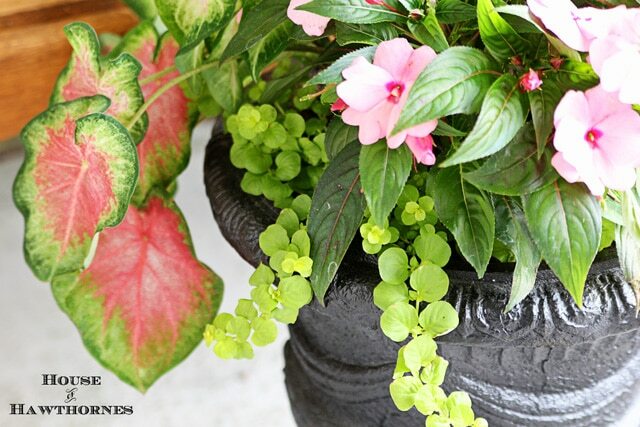 Love your mix of pinks and greens. Maybe I will get braver next year. What a pretty color combination! Mr. Droopy pants! How funny. I never seem to tire of pinks. Love them in a dark pot like that for contrast! What a gorgeous collage of color! I always have such a hard time getting a mix for “shade”. this is wonderful. 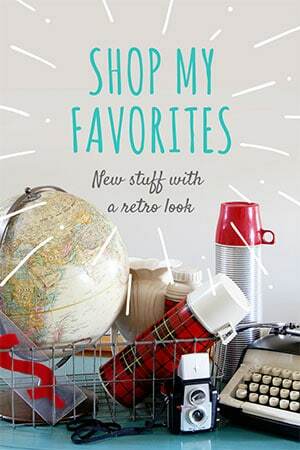 and oh, I just LOVE that vintage watering can! !